The next time you get a rejection, do not despair. You are in good company. I recently read an article in the New York Times about Charlotte Bronte. 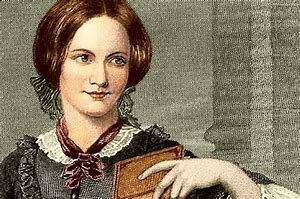 The acclaimed author of Jane Eyre not only got many rejections, but she was urged to stop writing. When she sent a sample of her writing to England’s poet laureate, Robert Southey, the noted poet responded with a caustic rejection: You’ve got talent, but I’d advise you not to pursue your craft or your ambition. Fortunately for us, she ignored his advice. I read both Jane Eyre and Wuthering Heights when I was a teen. I’ve yet to read Agnes Grey. These young women had more than talent. They had drive. Indeed they may have never published a word had it not been for Charlotte’s perseverance. Not only were the Bronte sisters facing scorn as female writers, but their books also went against the normal reading standard of the day. Charlotte, for example, created plain female characters who feel passionate love. At the time, only beautiful women were believed to feel such a force of passion. Ha! Imagine that. Rejections are hard to accept, but as writers we create something out of nothing. That something may indeed be different, against the modern trend, but does that make it unpublishable? Today, we have the option of self-publishing. The Brontes didn’t have that option available to them. Had they, my guess is Charlotte would have likely published all their books herself. Indeed Tom Clancy did just that. He self-published the Hunt for Red October which was later picked up and re-published by a major house. Why did he self-publish? He’d been rejected by every house. The next time you get a rejection, consider these great authors and what they had to go through to bring their books to the public. The keys to success for any writer are to write a good story, to revise it many, many times, and then to preserve longer than anyone expects. As a reader I’m grateful to Charlotte Bronte for her thick skin. Thanks for stopping by Vashti. I’ve been negligent with my posts, mainly because I’m not sure people are reading them. It’s so nice to hear that something inspired a struggling writer!